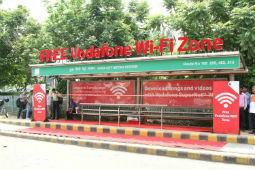 Vodafone India on Tuesday has Launched Wi-Fi services at the HUDA City Centre Bus Stop. This is the Gurugram’s first Wi-Fi enabled bus shelter. The commuters can enjoy the complimentary Free Wi-Fi services for 20 minutes per day. Through this innovative offering Vodafone aims to develop seamless, technologically-backed, Wi-Fi networks that will help enhance data consumption among Smartphone users in the region. 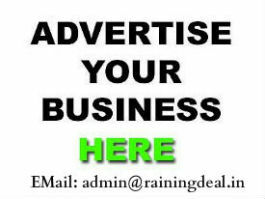 The Wi-Fi can be accessed by any user of any telecom operator. The company said that it aims to enhance data consumption among smartphone users in the region. HUDA city centre witnesses a heavy influx of people during the entire day, which makes it a suitable choice for such a setup. In the next few days Vodafone will be setting up few more Wi-Fi bus shelters on its data strong network. Vodafone WiFi Hot-spot network is also available across 115 prime locations of Delhi-NCR, which includes popular market places/malls, hospitals, colleges’ etc. Vodafone has introduced a bouquet of free Wi-Fi offers on its prepaid recharges as well as for its Postpaid RED customers so that consumers can draw benefits at these Wi-Fi locations. Moreover 20 mins of free Wi-Fi service (operator agnostic) is available at Dilli Haat (INA Market), Khan Market, Fortis Hospital (Gurugram) & all Vodafone Stores across Delhi NCR. Flashing light on this digital advancements, Mr. Alok Verma Business Head, Vodafone Delhi-NCR said, “Vodafone is committed to contributing towards making entire Gurugram a Smart City. We are very happy to enable citizens across the city to experience world-class Internet services on the go. The Wi-Fi Initiative is a step towards “Digital India” and creating networked and connected societies that will help citizens get on the digital highways and stay connected for Good".